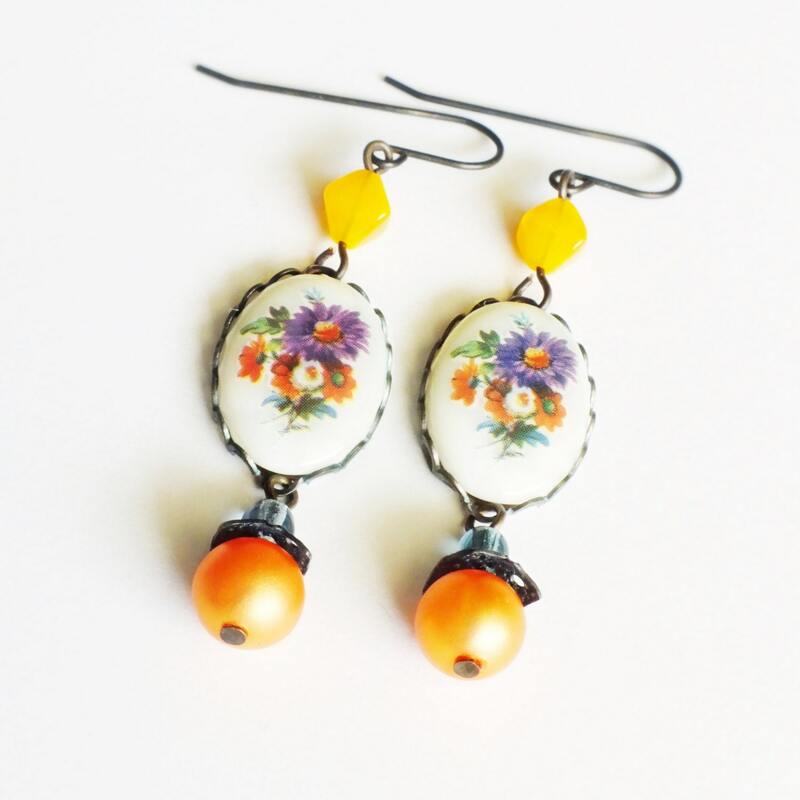 Handmade purple floral earrings with vintage glass flower cameos. 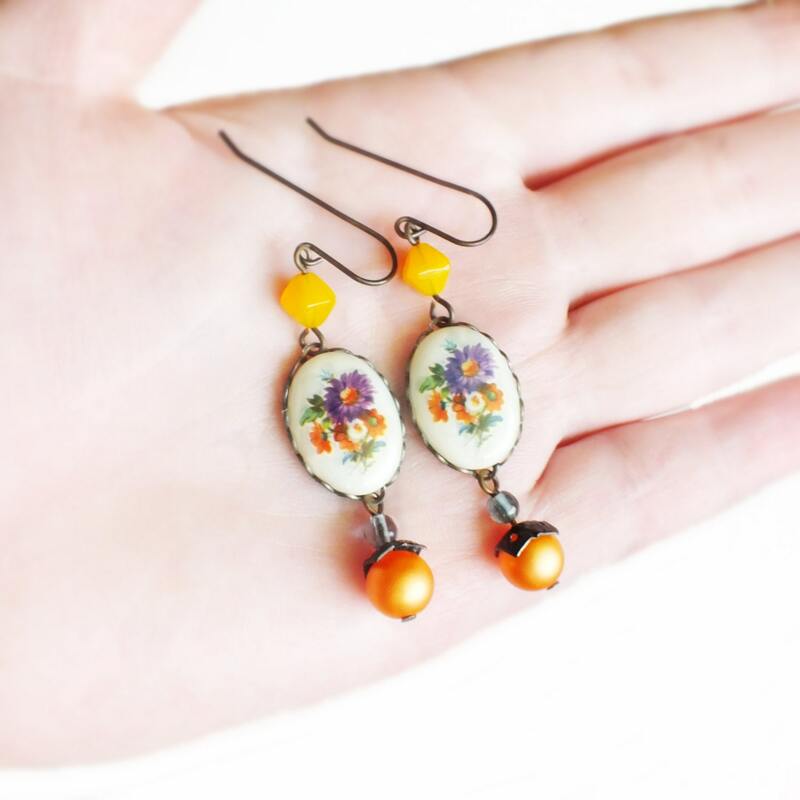 Genuine vintage cameos, beads and settings. 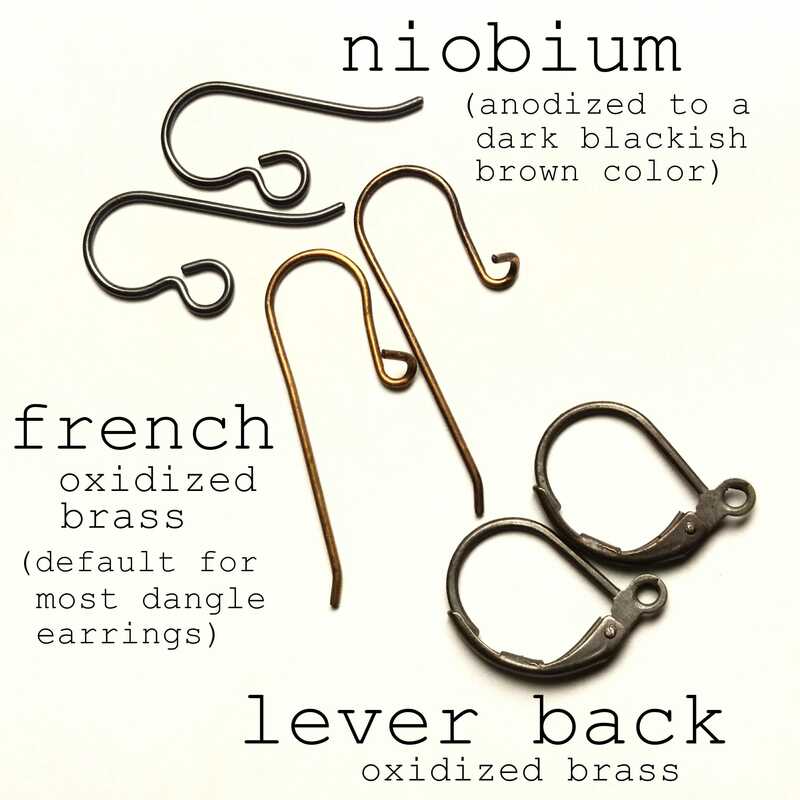 US made oxidized brass ear wires. Just over 2 3/8 inches - 6 cm long. 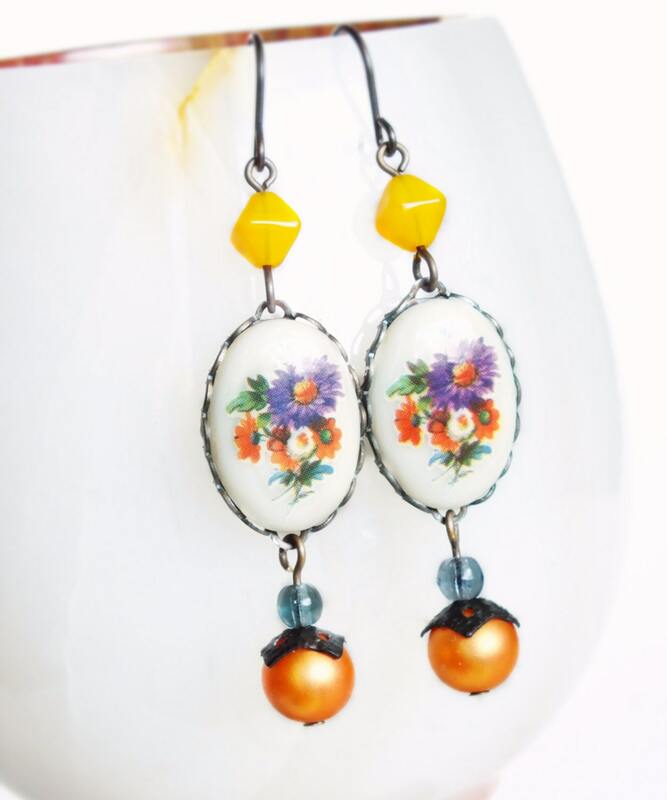 Made with beautiful genuine vintage orange, white and purple vintage glass aster cameos set in lacy antiqued copper settings. 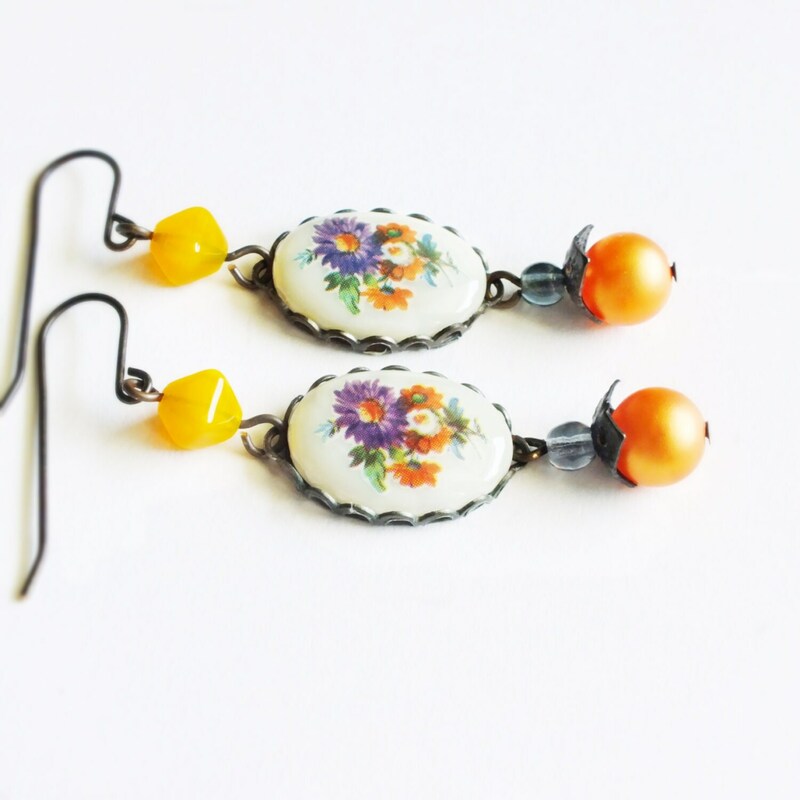 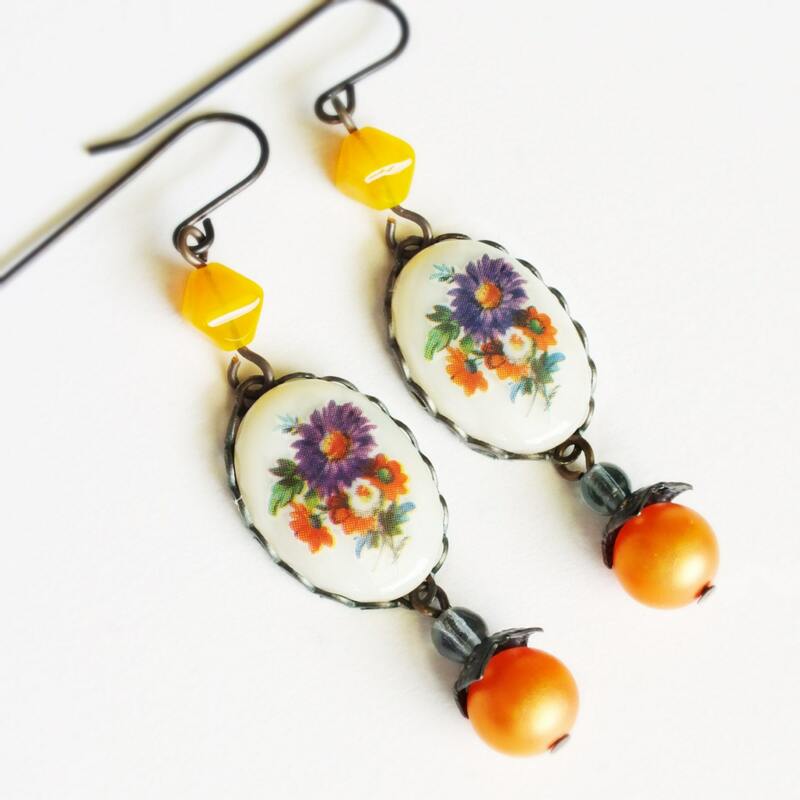 Adorned with vintage tangerine glass and pearly resin beads.